We believe success in achieving important financial goals starts with a comprehensive wealth strategy. We will help you define what is most important to you and then formulate the strategies that are suited for your needs, whether you are accumulating wealth or investing for income, solidifying your retirement plan or devising a distribution approach that meets your lifestyle and legacy goals. 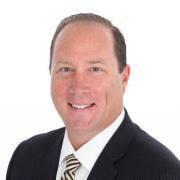 Brian has over 25 years of experience in the financial services industry. Prior to joining Morgan Stanley Wealth Management he was associated with UBS & Edward Jones. He is currently a Financial Advisor at the Canton, OH branch of Morgan Stanley where he serves the needs of high net worth individuals and families, with a focus on physicians and others in the medical field. Outside of work, Brian is active with several organizations, including Mercy Medical Center's Therapy Dog Program, The Ohio State University's Alumni Association, and St. Michael's Catholic Church. His hobbies include golfing and equestrian activities. BBA - Ohio University, Finance and Marketing Major 1986. 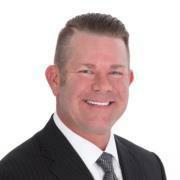 -1991 - 1999: Mark has gained extensive experience in the financial services industry during his 25 year career. He was part of Dean Witter's first office in Canton, Ohio when he joined them in August, 1991. Mark successfully completed their rigorous training program and grew his practice over these years. -1999-2010: In 1999 McDonald Investments invited Mark to join them in their downtown Canton, Ohio branch. Here Mark worked with seasoned investment professionals and learned a great deal from his mentors in this office. He grew his practice and knowledge base to earn the title of Senior Vice President of Investments as a Financial Advisor. 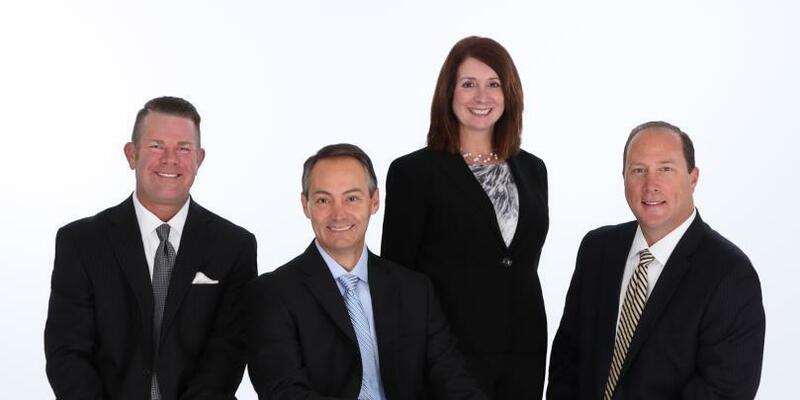 With changes in the industry, McDonald Investments was acquired by Key Bank. This is where the foundation was laid to form Legacy Wealth Management Group. Key Bank then sold this business unit to UBS and after a few years the team decided it was in the best interest of their clients to join Morgan Stanley. -2010-Present: Mark is currently a Senior Vice President, Financial Advisor at Morgan Stanley in Canton, Ohio with his team, Legacy Wealth Management Group. Mark's focus is on providing investment management, asset allocation and financial planning for high net worth families. He also works closely with Charitable Foundations establishing investment objectives, asset allocation guidelines and implementing investment management. In addition, Mark and his team service large retirement plans including 401k, Profit Sharing and Defined Benefit plans. Mark believes in supporting his community through volunteering and financial support. His hobbies include coaching youth sports, golfing and spending time with his family. Mark and his wife, Jennifer, have three boys and one girl. Kent began his career as a Financial Advisor at Cowen & Co., and has over 20 years of financial and investment experience. Today, he is a Financial Advisor at the Morgan Stanley branch in Canton, OH. He has built his practice by servicing the wealth management needs of affluent individuals and their families, small business owners and retirees. 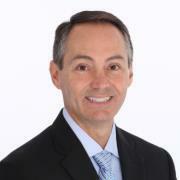 His areas of focus include individual stock management, option strategies, fixed income and equity research. Kent has been active with several organizations in his community, including the Dover Rotary Club, Big Brothers Big Sisters of East Central Ohio and Union Hospital. In his free time he enjoys playing golf and spending time with his wife, Jennifer, and their three sons. 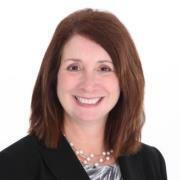 Cherie has been in the securities industry for 22 years. She supports the daily operations and client activity for the team as well as FA contact management. Cherie and her husband, Wayne, live in Uniontown where they keep very busy with their two boys. Ready to start a conversation? Contact Legacy Wealth Management Group today. 1Morgan Stanley Smith Barney LLC (“Morgan Stanley”), its affiliates and Morgan Stanley Financial Advisors or Private Wealth Advisors do not provide tax or legal advice. Clients should consult their tax advisor for matters involving taxation and tax planning and their attorney for legal matters. 2Morgan Stanley Smith Barney LLC (“Morgan Stanley”), its affiliates and Morgan Stanley Financial Advisors or Private Wealth Advisors do not provide tax or legal advice. Clients should consult their tax advisor for matters involving taxation and tax planning and their attorney for legal matters. 3Tax laws are complex and subject to change. Morgan Stanley Smith Barney LLC (“Morgan Stanley”), its affiliates and Morgan Stanley Financial Advisors and Private Wealth Advisors do not provide tax or legal advice and are not “fiduciaries” (under ERISA, the Internal Revenue Code or otherwise) with respect to the services or activities described herein except as otherwise provided in writing by Morgan Stanley and/or as described at www.morganstanley.com/disclosures/dol . Individuals are encouraged to consult their tax and legal advisors (a) before establishing a retirement plan or account, and (b) regarding any potential tax, ERISA and related consequences of any investments made under such plan or account. 5Morgan Stanley offers a wide array of brokerage and advisory services to its clients, each of which may create a different type of relationship with different obligations to you. Please consult with your Financial Advisor to understand these differences. 6Morgan Stanley’s investment advisory programs may require a minimum asset level and, depending on your specific investment objectives and financial position, may not be suitable for you. Please see the Morgan Stanley Smith Barney LLC program disclosure brochure (the “Morgan Stanley ADV”) for more information in the investment advisory programs available. The Morgan Stanley ADV is available at www.morganstanley.com/ADV.